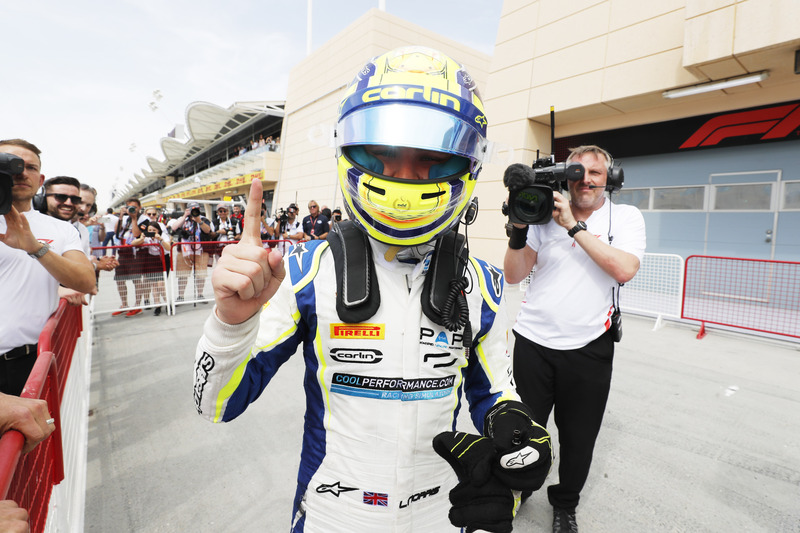 Lando Norris is a McLaren Formula 1 Driver, who has made a meteoric rise through the ranks of motorsport. We have been working with Lando on various helmet design, kart graphics, vehicle livery and racewear designs since the 2013 season. 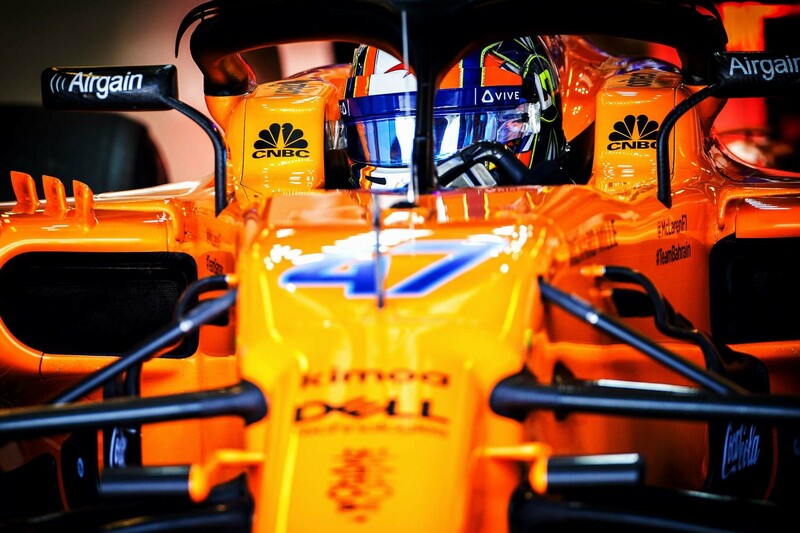 This season see's the talented British Driver graduate to Formula One in the 2019 World Championship with McLaren. It will be the seventh year in a row that the talented Briton will be using MDM Designs for his helmet designs. Over the previous seasons, we have been assisting Lando will the designs of his racewear and motorsport livery designs. Lando is also very artistic, so he is heavily involved in the design process to make it personal to him as we work through a vast range of ideas every season. 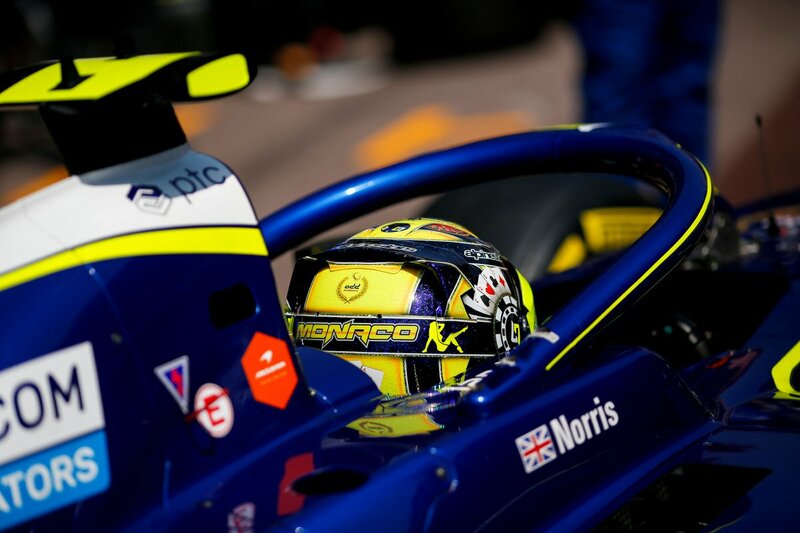 Norris' helmet has always been very unique and vastly different from the majority of the grid. Since his graduation to car racing in the British F4 Championship in 2014, we have since then evolved his design to be the sharp and super bright design. Sticking with his trademark fluo yellow, his design has evolved year after year, trialling different colour schemes that have varied on the colours of his car and team, along with a range of special effects to make him forever stand out from the pack. 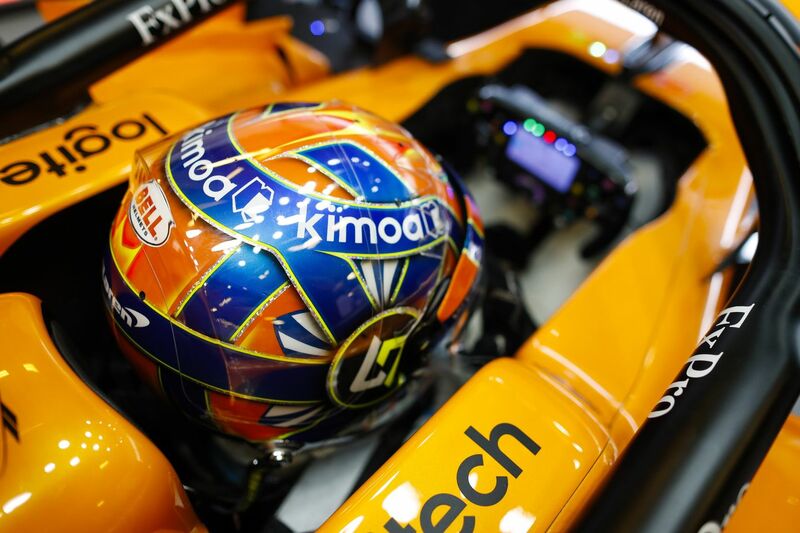 Lando's helmets are painted by the talented Jens Munser Designs at JMD, the same painter for Sebastien Vettel's helmet collection. 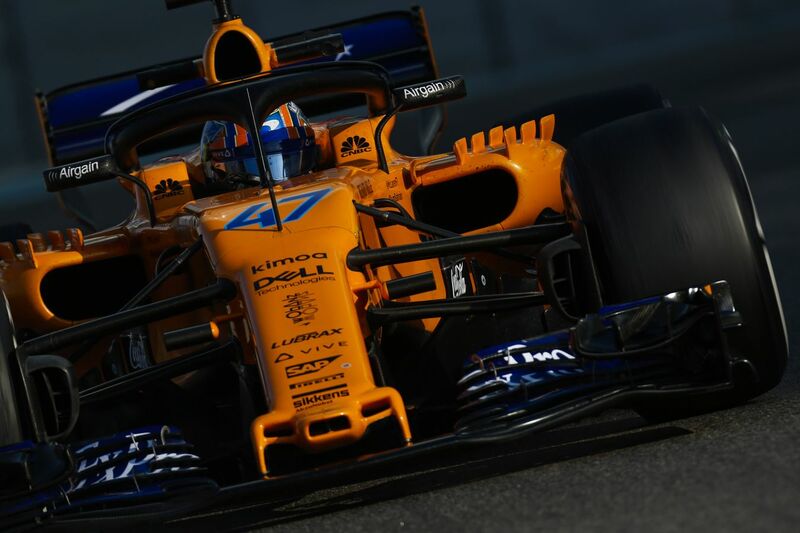 For his testing outings with McLaren, the decision was made to go for a Papaya Orange colour scheme, tying in with the car to complete the synergy between the livery of the McLaren and Lando's helmet designs - which have become a firm fan favourite. 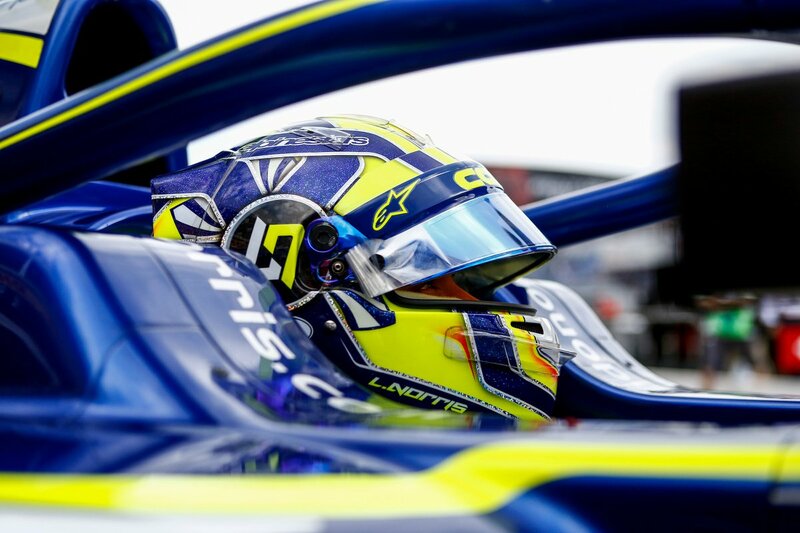 We have additionally created special designs during the 2018 season, which included a special 'Monaco' helmet design and Alpinestars race suit design, as well as a 'Finale' special design for the Abu Dhabi season ending round - where Lando paid tribute to his Carlin Racing Team, where he has spent the vast majority of his junior career racing for. A special helmet was mainly blue, dominated with images of the team and his career highlights - creating a truly unique helmet design. Lando's helmet is evolved once again for his journey into Formula 1. Expect to see the same trademark look, bright colours and special effects - with a range of designs being trialled out throughout the 2019 season.